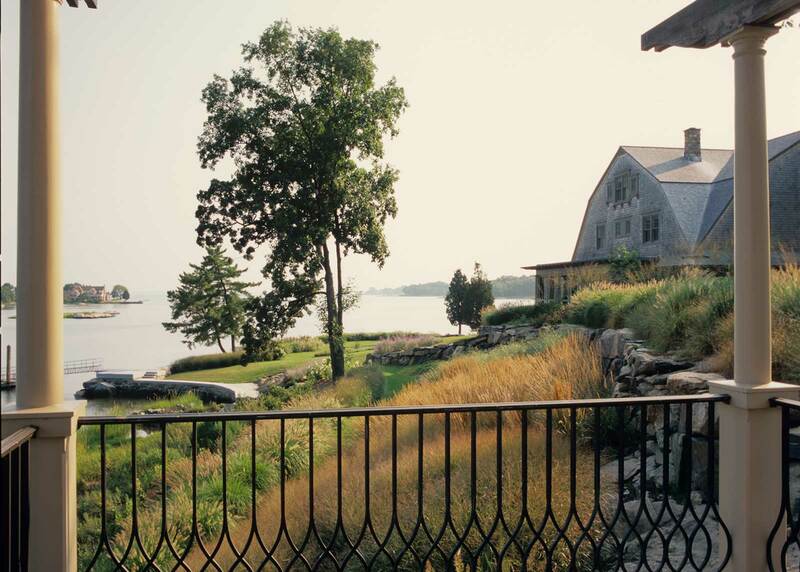 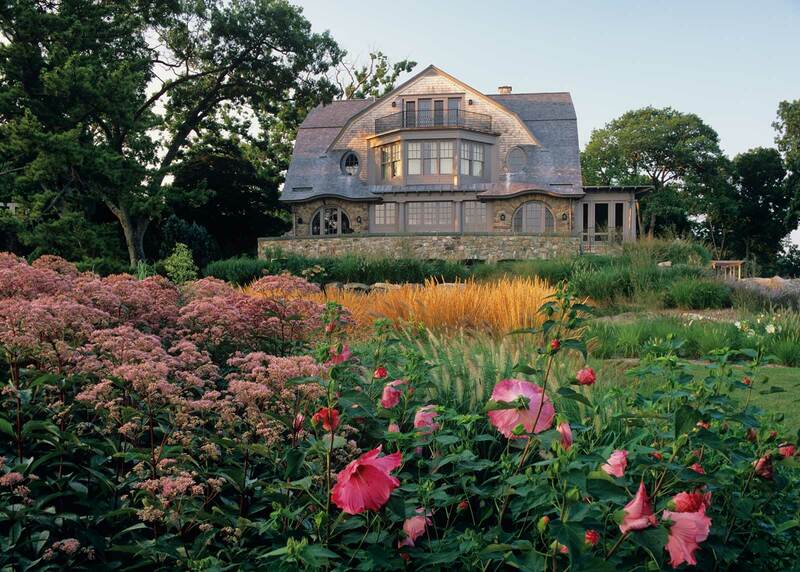 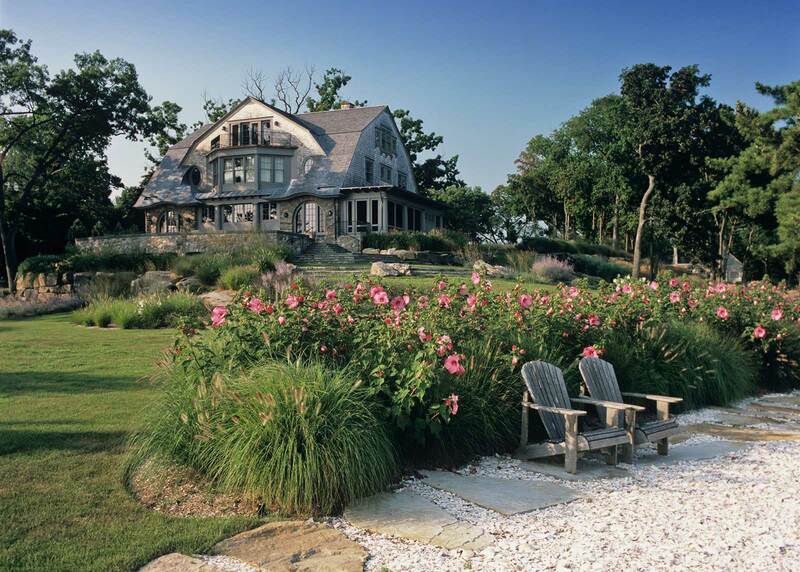 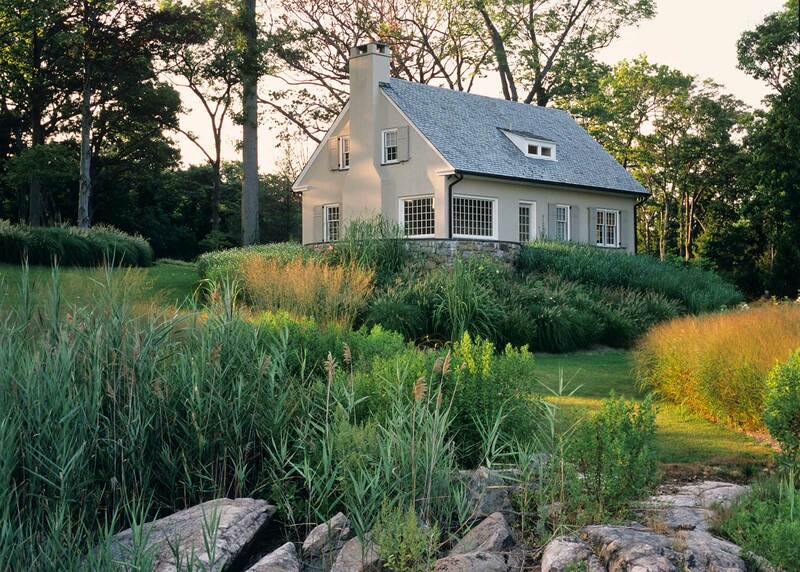 This three-acre garden located in Tokeneke juts into New York’s Long Island Sound. 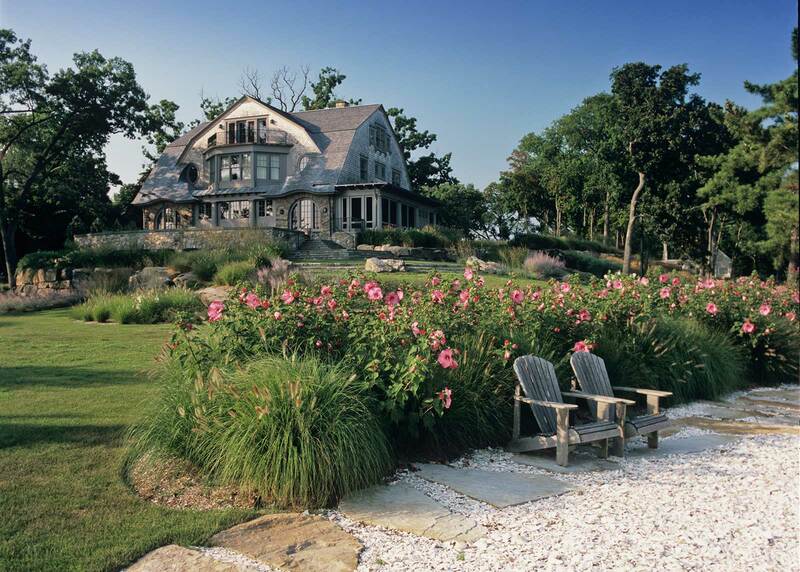 The renovated main house and guest house were once owned by Charles Lindberg. 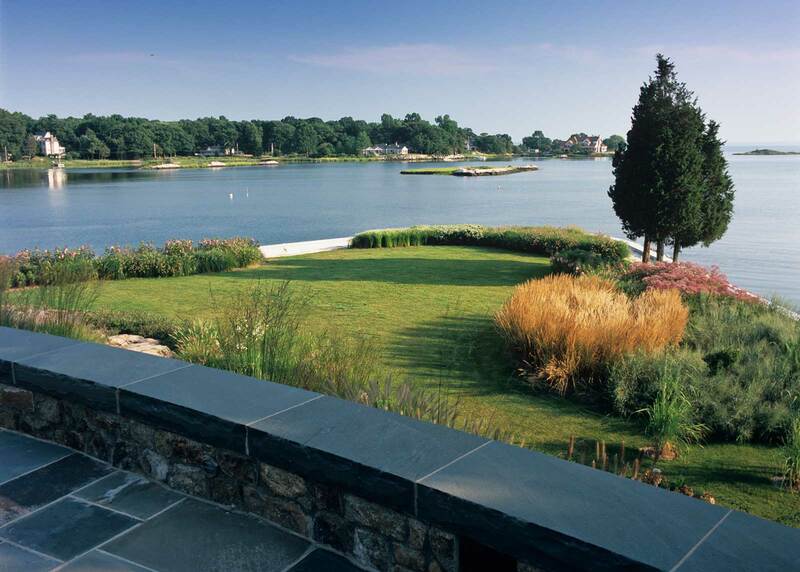 In addition to seaside planting, sensitive site and landscaping improvements include shoreline revetments and protected wetlands. 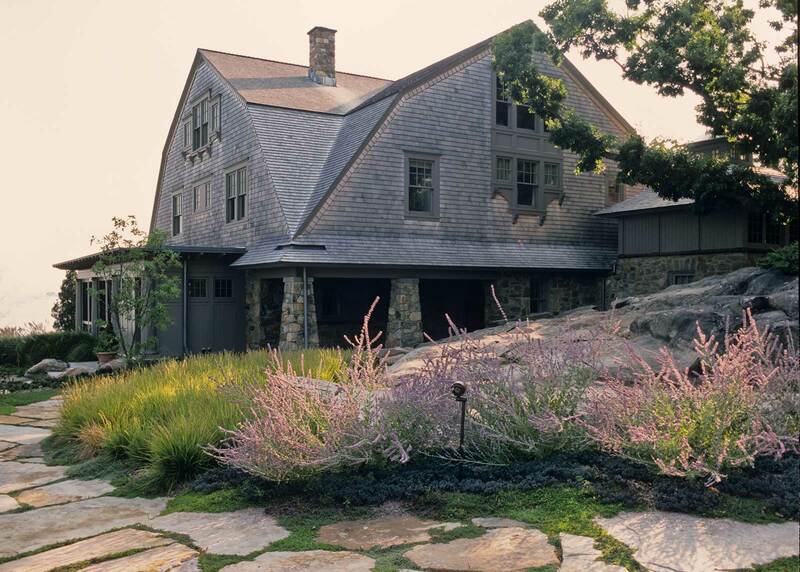 Improvements also include terracing around the house, boulder walls and steps, and a driveway and parking court.